DEFYING proposed sanctions by POTUS Donald John Trump, India and Russia have strengthened strategic partnership by signing nine pacts, including a multi-billion dollar deal for New Delhi to buy the S-400 Triumf air defence missile system. In a joint statement issued after talks between visiting Russian President Vladimir Putin and Prime Minister Narendra Modi the two governments on Friday confirmed the $ 5.4 billion deal but the two leaders kept mum on the missile deal while addressing a joint presser. 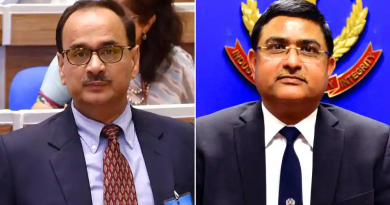 However, another expected defence pact on India acquiring four frigates from Russia was not signed as the two sides were yet to agree on some issues. Putin arrived in New Delhi on Thursday for a 2-day official visit to a red carpet welcome as the United States of America, United Kingdom and The Netherlands accused Russia of involvement in a series of cyber plots across the globe increasing tensions between Moscow and Western nations. India’s move to acquire the S-400, which has the ability to track multiple incoming targets, including aircraft, missiles and unmanned aerial vehicles, up to 400km in distance and 30km in altitude, can attract sanctions under the Countering America’s Adversaries Through Sanctions Act (Caatsa) passed by the US Congress on arms purchases from Russia.The US embassy in New Delhi said on Friday that Caatsa was not aimed at stymieing the military capabilities of its “allies or partners”, a statement seen in New Delhi as indicative of a possible waiver coming through from Washington. “Waivers of the Countering America’s Adversaries Through Sanctions Act (Caatsa) section 231 will be considered on a transaction-by-transaction basis. We cannot prejudge any sanctions decisions,” the US embassy spokesperson in New Delhi said. “The intent of our implementation of Caatsa is to impose costs on Russia for its malign behaviour, including by stopping the flow of money to Russia’s defence sector,” the embassy said. On the waiver itself, it said: “The waiver authority is not for a blanket waiver. It is transaction-specific. There are strict criteria for considering a waiver.” President Putin and PM Modi had not referred to the US in their remarks to reporters, though people familiar with the developments said that there was discussion “on all major world powers”. 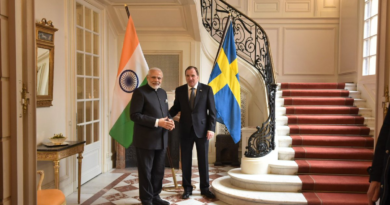 Modi and Putin both spoke about the importance of multipolarity and multilateralism. 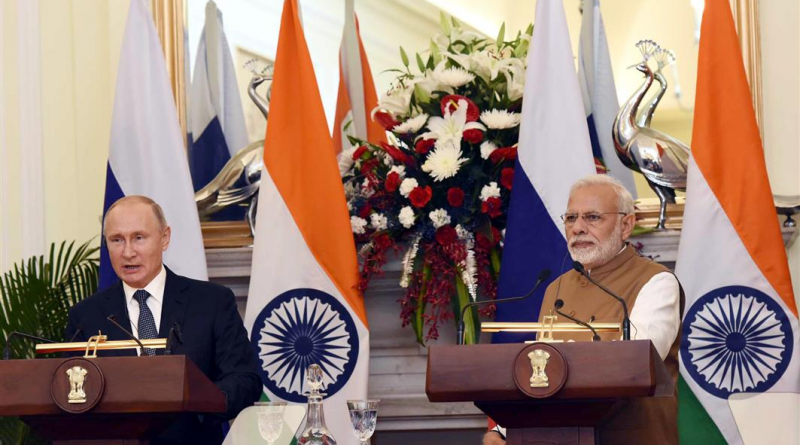 The two countries “reaffirmed their commitment to the Special and Privileged Strategic Partnership between India and Russia”, with the relationship being seen as “an important factor for global peace and stability”, according to the joint statement. India and Russia have appreciated “each other’s respective roles as major powers with common responsibilities for maintaining global peace and stability”, the statement said.One of the nine pacts signed was in the area of space cooperation with Russia promising support to launch two Indians into space in 2022, which was announced by Modi in his Independence Day speech this year.To put economic ties on a stronger footing, Russia has evinced interest in collaboration in the railways and civilian aircraft manufacturing sectors, a person familiar with the development said. India on its part is keen for its pharmaceutical companies to find a foothold in Russian markets, the person said. Both sides have set the target for increasing bilateral trade to $30 billion by 2025 from $10.7 billion in 217-18. India has an annual $6.5 billion trade deficit with Russia.India “invited Russian companies to participate in the development of industrial corridors in India, including in areas of road and rail infrastructure, smart cities, construction of wagons and creation of a joint transportation logistics company,” according to the statement. Putin invited India to look at energy blocks for exploitation in the Arctic region and the sparsely populated Russian Far East, neighbouring China, the person familiar with the discussions mentioned above said. Russia is to open an office of the Far East Agency in Mumbai to help Indian investments in the region especially in diamond mining, the person said. 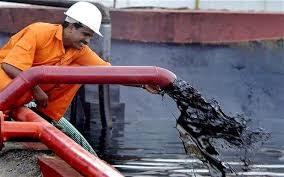 Putin and Modi also discussed rising oil prices, the person mentioned above said, adding that the Russian delegation said it would increase production should the need arise, especially in the context of Iranian crude oil exports getting hit following the imposition of sanctions on 4 November. 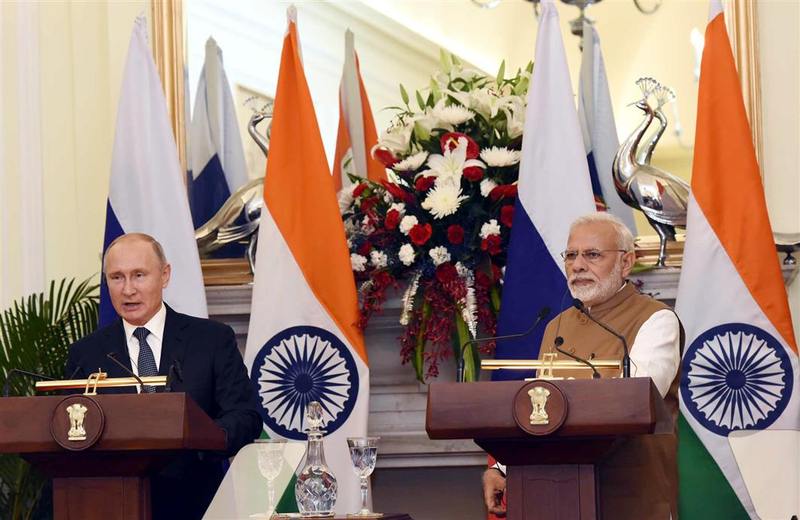 India and Russia also agreed to enhance cooperation in information and communications technology, particularly in supercomputing, network security and related areas, according to the joint statement. Separately, the minister for economic development of Russia, Maxim Oreshkin, said both countries were exploring the option of trading in their local currencies and looking at signing agreements on investment protection and avoidance double taxation.India also agreed to set up a fast track, single-window mechanism for quicker clearance of Russian investments in India named Russia+ in line with similar facilities available for Japan and South Korea. The Indian commerce ministry is also consulting the Reserve Bank of India and the finance ministry to finalize arrangements with countries like Russia for imports on deferred payment for oil imports or increasing barter possibilities for balanced trade involving diamond to help stabilize the sharply depreciating rupee.Modi said the two sides have identified four key sectors such as energy, digital economy, startups and infrastructure for joint collaborations. Both sides called for the development of the International North-South Transport Corridor (INSTC) through intensified efforts by finalizing pending issues related to customs authorities, development of road and rail infrastructure and financial facilitation through bilateral discussions, as well as discussions with other partner countries at the earliest. India’s trade minister, Suresh Prabhu, said the signing of a Free Trade Agreement (FTA) with Eurasian Economic Union (EaEU), consultations for which have begun, will create a huge market that will benefit all the countries of the region and also promote inter-regional partnerships between the states of India and the regions of Russia. In India , defence experts and the Indian Air Force have appreciated the agreement for the purchase of the S-400 Triumf air defence missile system it will be a game changer security scenario.